This original Dalmatian stone house with a swimming pool is situated in the centre of a small fishing place on the island of Brac. On the ground floor of the semi-detached house. This original Dalmatian stone house with a swimming pool is situated in the centre of a small fishing place on the island of Brac. On the ground floor of the semi-detached house, there is a spacious living room from which there is an exit onto the terrace with the pool. 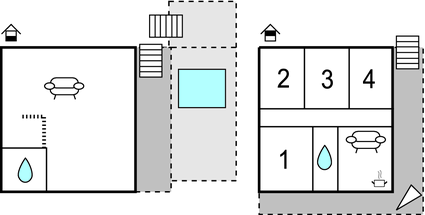 The upper floor can be reached by external stairs and comprises a kitchen with a dining room and bedrooms. The holiday home is located in the very centre of this beautiful, small and idyllic place. All facilities necessary for pleasant holiday as well as the beaches are located nearby. This villa is made from brick or stone and was originally built in 1802 and refurbished in 2009. The agent has rated it as a three star property so it is a well-kept villa, equipped with standard furniture. It is also good value for money. 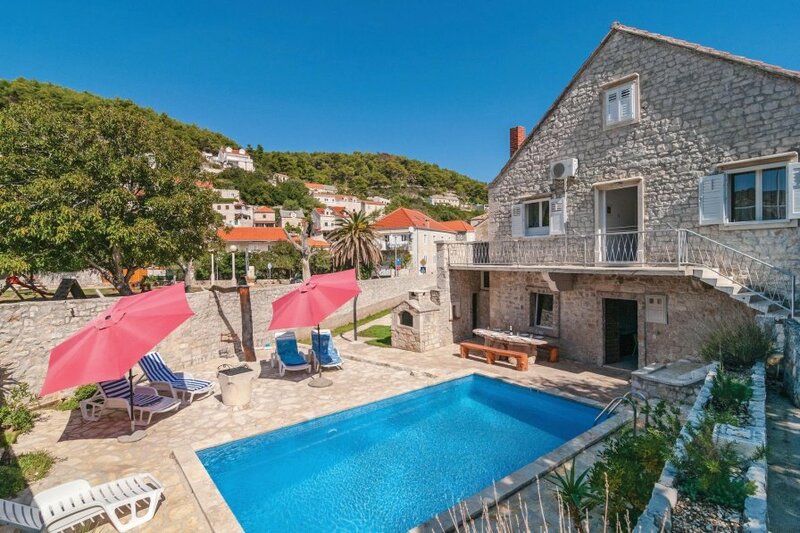 This villa has a swimming pool and is located in Pučišća, 22km from Supetar. It is set in a very convenient location, just 200 metres away from a stone and pebble beach. There's also a restaurant only 50 metres away. The villa has free wireless internet. You can also park on-site at no extra charge. The villa is well equipped: it has a refrigerator, microwave and washing machine. It also has a barbecue, exercise equipment and some garden furniture outside.